Hogarth’s Pest Control specializes in Cluster Fly removal. 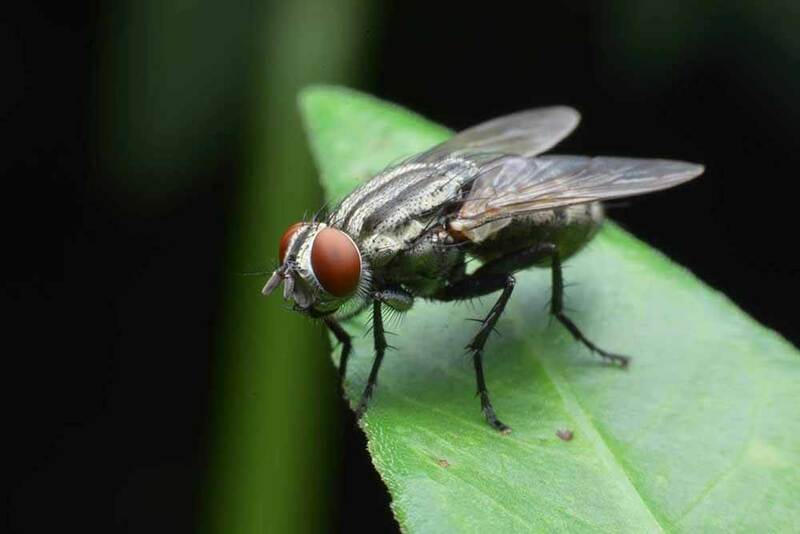 Cluster flies are members of the blowfly family. They are dull-gray with black markings and have golden-yellow hairs on the thorax, giving the appearance of a golden sheen. They are larger and slower than the average house fly that you spend the summer swatting away. Cluster flies enter homes in the fall months searching for a warm place to overwinter. They crawl through attics, faulty ridge vents, behind siding, and wall voids; clustering together around windows when the weather warms up. They will not reproduce in your home, they simply remain put as a means to stay warm until they are able to go back outside. The flies will then lay their eggs in soil rich with earthworms to provide food for the growing larvae. These flies are not vectors for disease or dangerous to human health, but can become a major nuisance in a home or business. Any cracks and holes left unsealed during the construction process can be an entry point for cluster flies. Therefore, performing proper exclusion is the best way to prevent cluster flies from entering a structure. If you believe to be experiencing an issue with cluster flies, please give us a call. We have been keeping Northern Michigan homes fly-free for 25 years!